If there’s one thing I’ve learned about the days leading up to my menstrual cycle, it’s not to make any rash or hugely important decisions. Why? I suffer from PMDD, a severe form of PMS that, for many years, hugely complicated the symptoms I experienced as a woman with Borderline Personality Disorder. 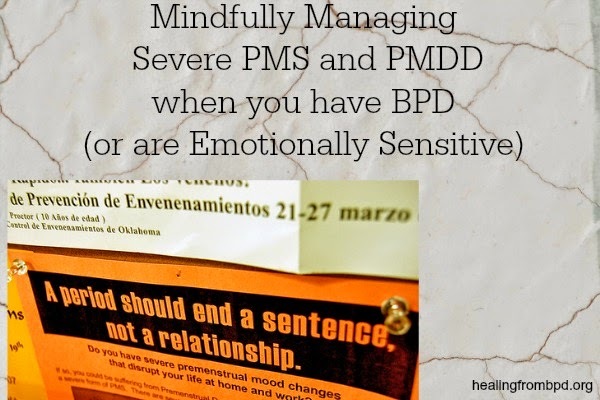 I am and always have been a highly sensitive person — not just emotionally, but also to things like shifts in medications, diet, sleep patterns, environment and routines, and as is the case with PMS/PMDD, hormonal fluctuations. Here is how I’ve been coping with the sometimes hugely challenging aspect of the latter from a skillful place. A couple of days will pass, and I inevitably go and check when I last had my period by checking my Google Calendar. 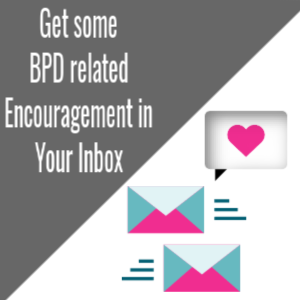 I talked about how and why I set this up in this post [PMS, PMDD, and Borderline Personality Disorder] from several months ago. When I checked the calendar during the recent experience of symptoms, it turned out that I was due to start my cycle in 3 days. So, yes, I was in the thick of PMS symptoms, and in my case PMDD – a severe form of PMS. I had recently considered and even started hormone treatment (the birth control pill) to help regulate the intense symptoms of PMDD, which for me have highly mimicked, enhanced, or worsened any BPD-related symptoms, but after feeling quite unwell physically and mentally after just two days on the treatment, I decided to stop it and continue to monitor my symptoms and progress before possibly starting any other treatment. PMS and PMDD symptoms have had a strong connection with my experiences in my early twenties as a woman with yet undiagnosed BPD. Nearly every time that I would voluntarily (or involuntarily) be admitted into a psychiatric ward for feeling “out of control” mentally, I would awaken the next day in my hospital bed to find that my period started. I felt better, and I was now stuck in a ward for a minimum mandatory 3 days to be evaluated for psychiatric issues. Despite this, it wasn’t until very recent years that I suggested to my psychiatrist, who has only been a part of my clinical team for the past few years, that I thought I might have PMDD. She had me monitor my moods around my period. I also went off a birth control pill in order to allow myself to learn my body’s own natural rhythm in terms of the number of days between my cycles and any physical and mental symptoms I’d experience during these times. With this in place, I was able to, indeed, find a correlation between the wild mood swings, irritability, and even suicidal thoughts during times when my life was going along wonderfully, were connected to the approach of my menstrual cycle. The incredible positive that I have gained by becoming aware of this connection is the awareness that has allowed me to work with my mind and body each month when these symptoms surface. I can now respond to my body’s needs without reacting from a highly activated, emotional place. It’s really made all of the difference. I now know what to expect and deal with myself more compassionately during this time of the month. Can you relate? Do you have a loved one who experiences this? Be sure to check in with your medical doctor or psychiatrist for ideas on what may help in your particular situation. 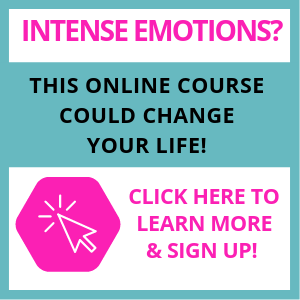 If you’d like to work on some Distress Tolerance skills alongside me to cope more effectively with the emotional distress that comes up during this time of the month, join me for this online DBT class, which starts in a couple of weeks. Only 3 days? You're lucky. I suffer for a week and a half minimum. Now that I'm older, I seem to be living in a perma PMDD state of mind. Thanks for commenting, Pam. Ohhh, let me be clear: it's more like 7-10 days. It's just that the last 3 before the period are the worst. I just recently figured that out. The last few hospitalizations, I would get my period either a day or two after being admitted or would have been on my period for a day already. After my last hospitalization I started wondering if I have PMDD and if my periods were making me worse I am going to talk to my psychiatrist and primary care doctor about this. I have never been diagnosed with PMDD before, but thinking back now it makes a lot of sense. Thank you so much for posting that, I feel a lot better knowing that its not just me and now I know to bring this up with my doctors and treatment team. I just love reading these blog entries, and especially this one because it really highlights how useful mindfulness can be! 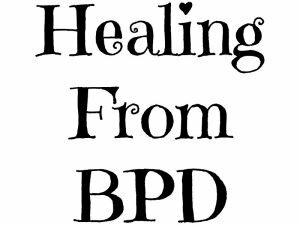 I'm a provider and have referred clients to this site for a couple years now, thanks so much for making DBT accessible and understandable to so many people! and this subject also PMDD. Today was tough for me with PMDD and I have always been emotionally sensitive. I decided to visit your site today and this was the first thing I opened to. During that time of the month, I just hit a wall or feel like i fall down a deep dark hole. To know that we are not alone in this and other emotional issues brings comfort. Thank you again, know that you make a great difference in others lives! So glad to hear this, Sara. Thank you for taking the time to share and for your kindness! You're so welcome Cynthia! Fantastic that you'll be bringing this up with your treatment team. It's amazing how much more makes sense when we make these connections!